Promotional value expires 90 days after purchase. Amount paid never expires. Appointment required. Consultation required; non-candidates and other refund requests will be honored before service provided. Limit 1 per person, may buy 1 additional as gift(s). Limit 1 per visit. Valid only for option purchased. All goods or services must be used by the same person. Merchant’s standard cancellation policy applies (any fees not to exceed voucher price). Merchant is solely responsible to purchasers for the care and quality of the advertised goods and services. Rejuve! strives to make their clients feel and look their best. By combining natural products with state-of-the-art technology, this modern salon caters to the individual health, wellness, and beauty needs of each person. 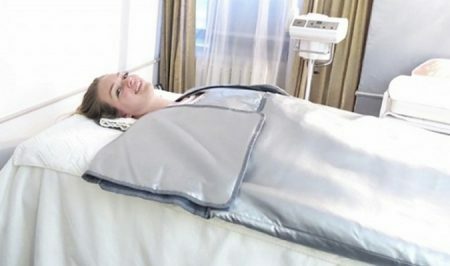 Their infrared body wraps help rid the body of toxins and lose inches, while collagen remodeling sessions aim to tighten the body and smooth cellulite. Beauty buffs can also come in for custom facial treatments, relaxing massages, professional teeth-whitening sessions, and other pampering treatments. As a result, they can expect to leave Rejuve! with an extra boost of confidence.